I recently visited the National Survey of Medieval Wall Painting (Courtauld Institute of Art, London) for the first time in 13 years of studying mural paintings. Renowned for being somewhat tricky to access (for us mere outsiders), the collection consists of an interesting and eclectic mix of unpublished conservation reports, correspondence and photographs relating to the discovery,recording and conservation of wall painting. It is the brainchild of Professor David Park (‘Keeper’), who has been diligently collecting material for over 30 years. If you are keen to visit, it is worth pursuing David for an appointment. When I arrived he was helpful, courteous and relatively forthcoming with his extensive knowledge on mural paintings in this country. For those of you interested in church monuments, follow this link for the Representing Re-Formation project website. 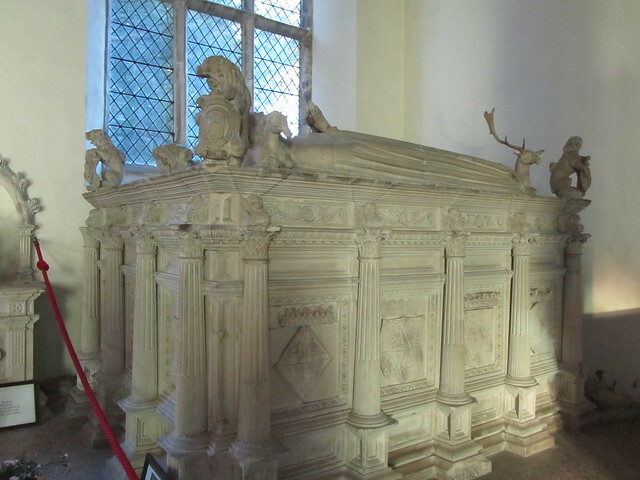 Sponsored by the Science and Heritage Programme, the 3-year project is examining the Howard Tombs at Framlingham church (originally from Thetford Priory). The University of Leicester’s Space Research Centre (SRC) is using 3-D scanning of tombs and fragments, as well as non-destructive analytical techniques, to produce virtual reconstructions . The project was designed and is led by Phillip Lindley (Department of Art History, University of Leicester), whose PhD students including Rebecca Constabel. Rebecca is focusing on French sculpture in the sixteenth century to determine the origins of the tomb sculptors, and to clarify the time-frames of work. There is also a Blog and regular Twitter updates.